The theoretical cost of a company financing itself, assuming no debt. 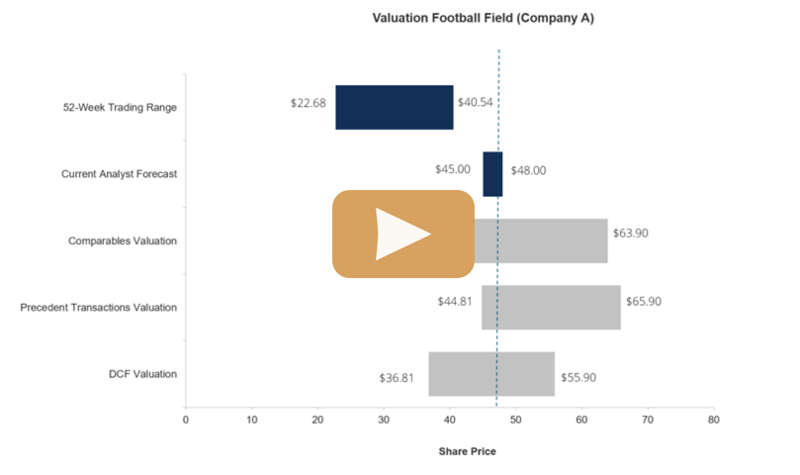 What is the unlevered cost of capital? The theoretical cost is calculated using a formula. This gives an approximate of the likely requirement of the market. The market risk premium is calculated by subtracting the expected market return and the risk free rate of return. Calculation of the firm’s risk premium is done by multiplying the company’s unlevered beta with the market risk premium. Beta is the volatility of the stock versus the market, and the volatility of a stock is impacted by the amount of leverage the company has. The unlevered beta removes the effects of leverage from the company’s beta. Learn moreUnlevered Beta / Asset BetaUnlevered Beta (Asset Beta) is the volatility of returns for a business, without considering its financial leverage. It only takes into account its assets. It compares the risk of an unlevered company to the risk of the market. It is calculated by taking equity beta and dividing it by 1 plus tax adjusted debt to equity. This points to the theory that a company will have a higher unlevered cost of capital if investors perceive the stock as being higher risk. Ignoring the debt component and its cost is essential to calculate the company’s unlevered cost of capital, even though the company may actually have debt. Now if the unlevered cost of capital is found to be 10% and a company has debt at a cost of just 5% then its actual cost of capital (WACCWACCWACC is a firm’s Weighted Average Cost of Capital and represents its blended cost of capital including equity and debt. The WACC formula is = (E/V x Re) + ((D/V x Rd) x (1-T)). This guide will provide an overview of what it is, why its used, how to calculate it, and also provides a downloadable WACC calculator) will be lower than the 10% unlevered cost. This unlevered cost is still informative, but if the company fails to achieve the 10% unlevered returns that investors in this market require, then investor capital may move to alternative investments. This will lead to a fall in the company’s stock price. As you can see in the example above, in order to calculate the unlevered cost of capital you need to determine the asset beta (the unlevered beta). 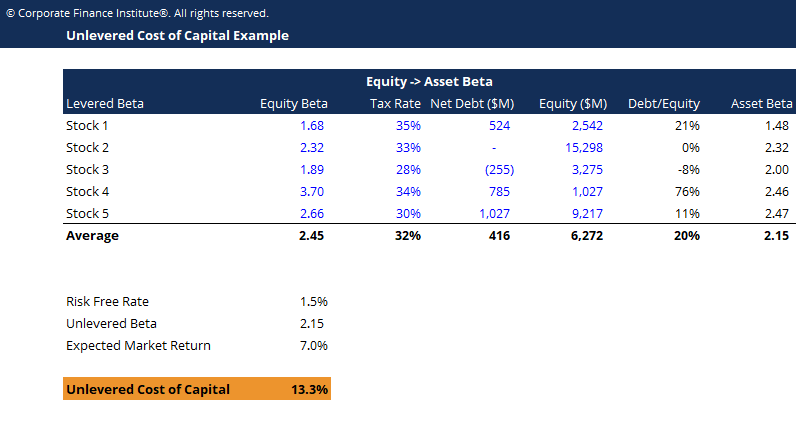 Learn how to calculate it in CFI’s Guide to Calculating Unlevered BetaUnlevered Beta / Asset BetaUnlevered Beta (Asset Beta) is the volatility of returns for a business, without considering its financial leverage. It only takes into account its assets. It compares the risk of an unlevered company to the risk of the market. It is calculated by taking equity beta and dividing it by 1 plus tax adjusted debt to equity.